David Reichenbaugh is a high energy, take charge, class A personality that has always worked hard and played hard, with a warm heart and a huge soft spot for his grandchildren. David also enjoys the outdoors including hunting, fishing, working his bird dog, history, baseball, riding his Harley, writing, and spending time with his wife and family. David's passion for law enforcement started at a very early age which led him to seek a degree in criminal justice. He holds a Bachelor of Arts Degree from Indiana University of Pennsylvania and is a graduate of North Western University Traffic Institute School of Police Staff and Command. David retired after 23 years service with the Maryland State Police as a Lieutenant and Barrack Commander in Cumberland Maryland. David's career started as a road Trooper and continued on as a criminal investigator, undercover narcotics investigator, major violators supervisor, homicide and high profile case investigator, and assisted in the development of the intelligence unit of the MSP post 9/11. 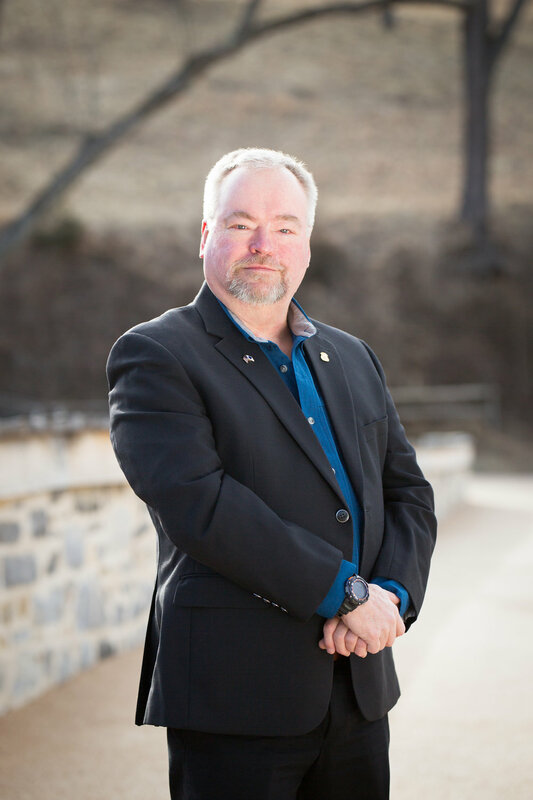 David's experience and passion for law enforcement and protecting the citizens along with his command attributes is what led him and enabled him to be the on scene commander during the capture of the beltway snipers.